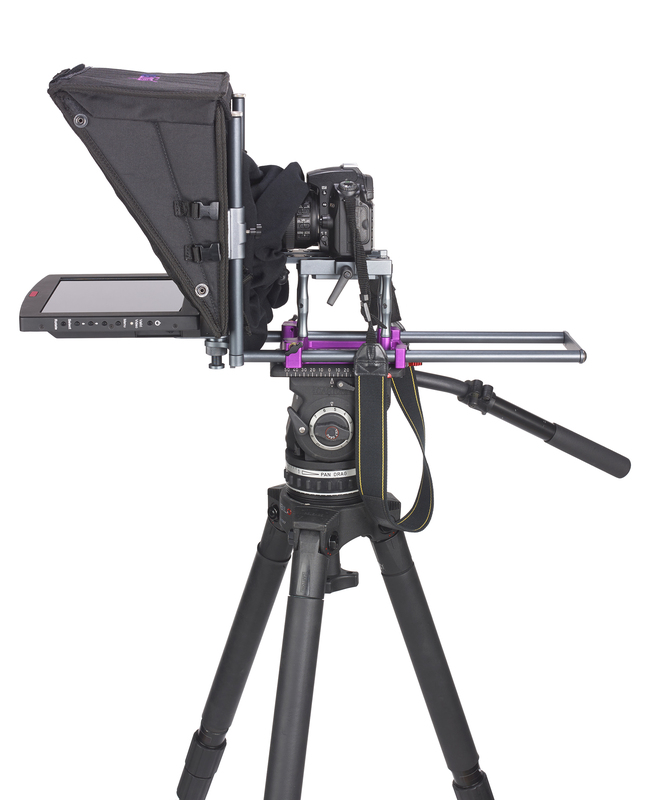 Compatible with CueScript CSMPS Small Mount Purple and CSHCS Small Collapsible Hood only. Included in the CSP10S package. Small, slim and lightweight, the CSF10SDI 10.4” CueScript Monitor boasts a 1500nits, 3000:1 contrast ratio LED screen, making it is easy to read even in very bright daylight conditions. It also features CueScript’s CueLock mounting system for swift, secure setup. Intelligent cue lights feature on the front and top of the monitor and are automatically switched to either direction by a built-in motion sensor (accelerometer). So, whether horizontal as a Teleprompter or vertical as straight-reader, the correct integrated cue light is automatically triggered. 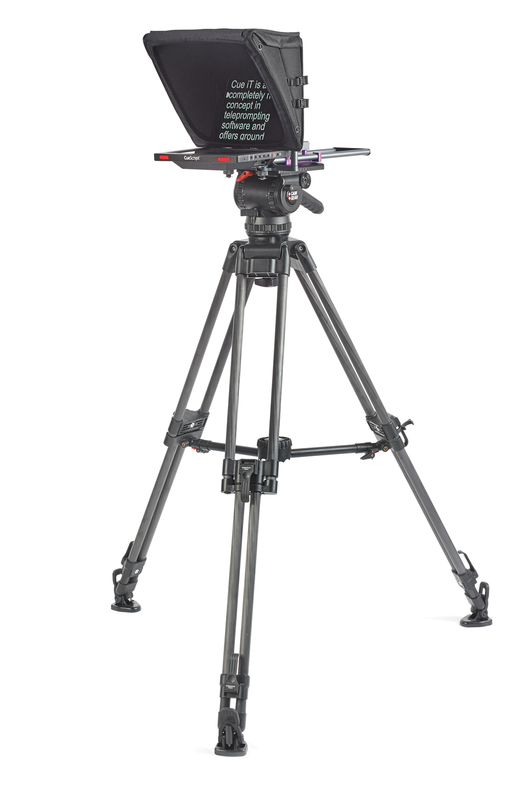 The CSF10SDI Monitor is included in the CSP10S prompter package; a compact, portable yet fully featured prompting system. 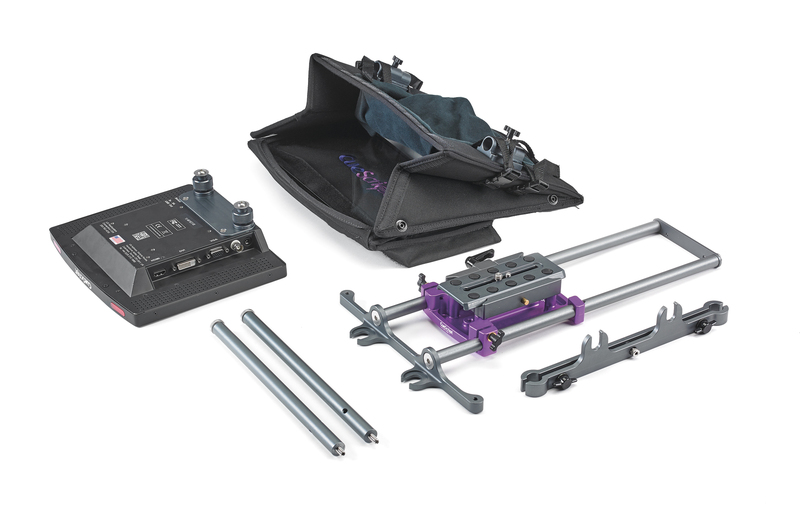 Each part of the CSP10S has been carefully designed to create the best professional lightweight prompter on the market. Due to the compact size, we opted for a square prompter glass panel to maximise the wide-angle camera shots achievable. However, with the incorporated straight reader mount, if the hood isn’t clearing the widest shot required, you can swiftly and very simply remove the hood and convert to a straight-reader above the lens. 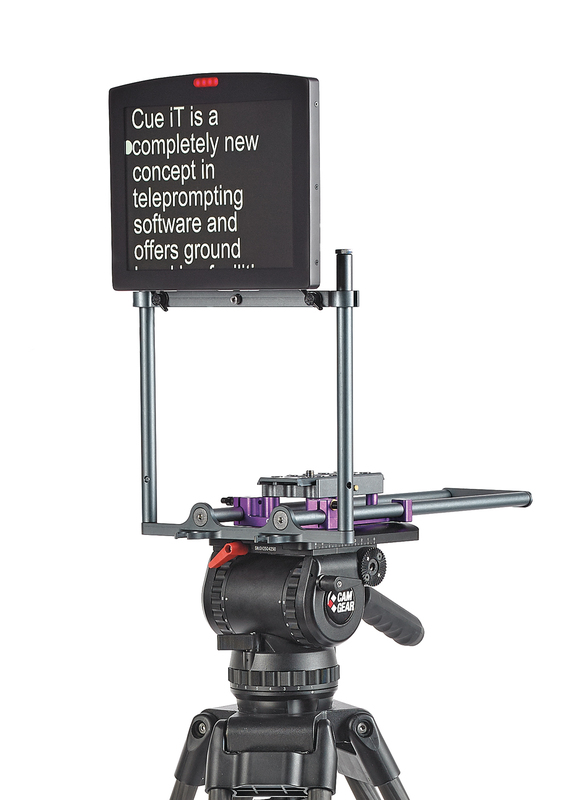 The CSP10S prompter is adaptable to all cameras/lenses/shots, which makes it perfect for outside broadcasts (OB’s), jibs and cranes. Tilt switch activator - automatically switches when unit is vertical or horizontal. Tally Sensor: Mini USB - with cue light sensitivity control. CueLock mounting system built in for fast, secure setup and release.